Hello Girlfriends! 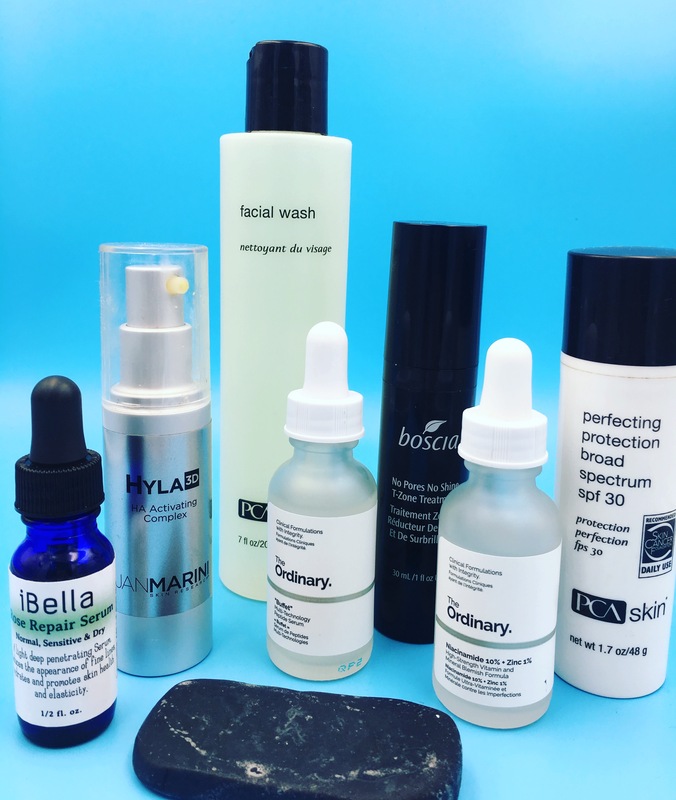 I thought I would share my current morning skincare routine as I have introduced some new products recently and my skin is doing better than ever. While I find this to be a bit time consuming the benefits are worth the efforts!! 3. The Ordinary Niacinamide & Zinc – This too is a somewhat light serum to treat the appearance of existing pimples and remaining dark spots. I have noticed since using this serum I have not had any new breakouts. Are any of these your favorites?! I am definitely on the bandwagon of The Ordinary and have my second order on the way. Some really interesting products here that I definitely wanna try out! Ive never heard of some of these before but they seem like they do some good things!